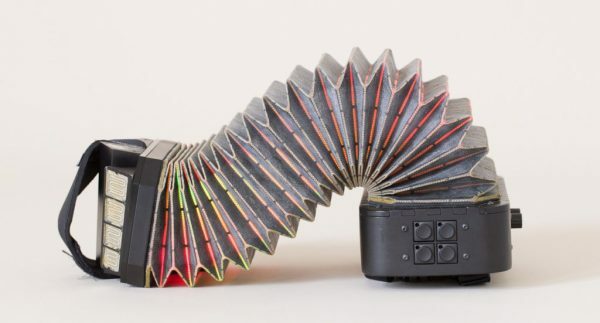 PushPull Is a Crazy Futuristic Squeezebox Instrument You Can Make #MusicMonday « Adafruit Industries – Makers, hackers, artists, designers and engineers! 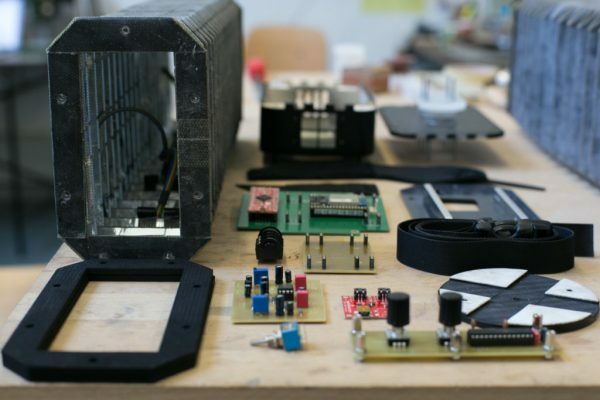 PushPull will blow apart your idea of what a typical controller – or an accordion – might be. It’s a bit like a squeezebox that fell from outer space, coupling bellows with colored lights, sensors, mics, and extra controls. And you can now make one yourself, thanks to copious documentation. With more complete documentation, you get greater insight into how the thing was made – and you could even follow the instructions to make your own. Things you expect to see: a bellow, valves, keys. Thing you might not expect: RGB LEDs lighting up the instrument, six capacitive touch sensors, six-direction inertial sensing (for motion), microphones, rotary encoders.